File hosting services have grown in popularity because of users that need to share large files with their networks over the Internet. These large files cannot be attached to emails, especially when using free email accounts offered by Web mail providers like Google (Gmail) and Yahoo! (Yahoo! mail) among others, since most of these free Web mail providers implement a 10Mb or so file size limit to email attachments. More so, even if some free or paid Web mail providers allow files with larger sizes to be sent as email attachments, downloading these files can be quite time consuming for the end user. This is where a file hosting package becomes important for an owner of a file sharing website. A file hosting plan is where a Web hosting provider offers leased shared or dedicated Web servers bundled with a file hosting package. These leased shared or dedicated Web servers will host the files that will be made available for download through the website of the customer. Some file sharing site owners even provide their site members and visitors the ability to upload and share their files with their friends, colleagues and social networks. A few file sharing site owners implement rating and comment systems into the file sharing functionalities integrated into their websites, so their members and viewers can determine the overall quality of the files uploaded by a certain member before downloading the files. So, how can someone like you choose the best file hosting package from a reliable Web hosting provider for your file sharing website? Of course, data storage space is an integral component of a file sharing website. This means the available data storage space of your file hosting package should be capable of accommodating the files you intend to upload to your website and make available for download by your site members, administrators and users, especially if you intend to provide your members, administrators and viewers with the ability to upload and share their own files using your website. Check out the data storage space bundled with the file hosting accounts you’re interested in, and also keep in mind to ask if the Web hosting provider offers affordable quick and easy data storage space upgrades, since you could most likely need additional data storage space when your traffic grows bigger. Bandwidth is the next most important component that you must consider before getting a file hosting package from a good Web hosting provider. 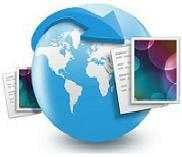 Bandwidth is the data transfer rate integrated into a Web server and a file hosting plan. This means the downloads and uploads you expect to be done by your site members, administrators and viewers should be calculated and factored in when you’re reviewing the bandwidth allocation implemented into your desired file hosting packages by the Web hosting providers in your list. Bigger bandwidth resources that come at a reasonable price will be beneficial for your file sharing website business, especially if the Web hosting provider offers inexpensive prices for upgrading your file hosting plan’s bandwidth resources in the future. Processor speed and RAM resources of the hardware components of your Web server are also important things to consider before getting a file hosting package from your preferred Web hosting provider. Your site members, administrators and visitors would definitely be frustrated of slow file uploads and downloads, more so of intermittent activity from your website or erroneous and corrupted file uploads and downloads. The CPU and RAM resources of your Web server facilitate data transmissions to and from the Web browsers of your site users and your Web server’s control panel and other software resources. These hardware components are also designated to process data queries sent to and from the Web browsers of your users and the control panel among other applications installed in your Web server. Having powerful processing capabilities and sufficient RAM resources available in your Web server will ensure smooth data transmissions and quick data processing. The control panel and software resources of your file hosting account should also provide you with quick and easy ways to manage the content of your file sharing website. Getting a file hosting account attached to a Web server that’s integrated with a user-friendly control panel and intuitive server applications will save your time and money. Web server management and maintenance services should already be bundled services with your desired file hosting plans. For file sharing websites, a dedicated file hosting package is recommended, though Web server maintenance and management services are also included in shared file hosting accounts. Dedicated file hosting packages are better than shared file hosting plans because the hardware and software resources of the Web server attached to dedicated file hosting packages are solely used by one customer. Customer and technical support service responsiveness provided by the Web hosting company that’s offering your desired file hosting plan will give you the peace of mind you want. Their customer and technical support services should also be accessible via many different options, such as live Web chat support, phone support and email or helpdesk ticket support. You can contact the customer and technical support departments of the Web hosting providers in your list to ask for more information about their different shared and dedicated file hosting packages. This way, you can determine the overall professionalism of their agents and the overall quality of their support services. Carefully considering the things mentioned above before getting a shared or dedicated file hosting plan from a Web hosting company will ensure that you get the best Web hosting package for your file sharing website. Also keep in mind to ask the customer support agents of the Web hosting company about the scripts installed in the control panel of the file hosting accounts they’re offering, particularly if there are scripts included that can allow you to quickly and easily create, manage and organize the content of your file sharing website. What is File Hosting and Where Can I Get it From?